1. ZE03BA3 LED Module is sourced by SMD2835, dimension is 80*17.5*6.2mm. 2. We provide 5 year warranty. 3. 170°beaming angle with even light. 4. 20 pcs Max. (constant voltage) in a series connection. 5. CE, ROHS and UL certified. 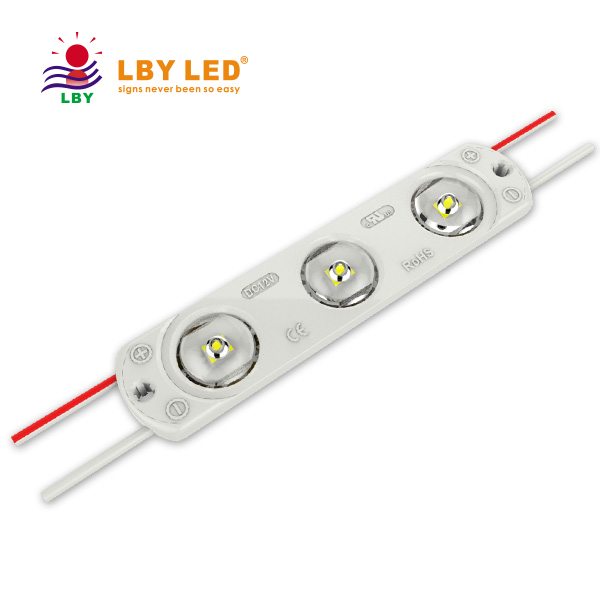 Looking for ideal Led Module Injection IP65 Manufacturer & supplier ? We have a wide selection at great prices to help you get creative. All the 1.2W 3LEDS Led Module IP65 are quality guaranteed. We are China Origin Factory of 3 Year Warranty IP65 LED Module. If you have any question, please feel free to contact us.